What stories are waiting to be revealed? Un-bottling the genie. For some time now I have undertaken an intensive project to digitise Wep’s archives. Firstly to know what I have and secondly to re-establish the links between various items long since separated, which may reveal further clues to the life story of the artist, William Edwin Pidgeon. Previously I have scanned numerous photographs and negatives but some had been put aside for another day; their condition being less than desirable. I am now addressing those as well. The problem is that many photographs were used by Wep simply as tools of the trade. He would take numerous photos of sitters for portrait composition, details of hands, poses, etc and they would simply get crumpled up, paint stained or covered in insect dirt and dust. Particularly so in his latter years as his studio had become more and more less weatherproof and the wisteria vine taking over, its tentacles reaching far inside through the many gaps, crevices and window openings. Whilst progressing through the last remaining box (is it really, I wonder) I came across a small yellow metal canister. I opened it up to reveal a roll of 18 exposure Kodachrome Color Safety Film. This film type was produced from 1936 to 1962. I have previously scanned a roll of colour positive film taken at Northwood around the early 1940s. It is possible that this roll could be from the 40’s or 50’s also. Has it been exposed and never developed? 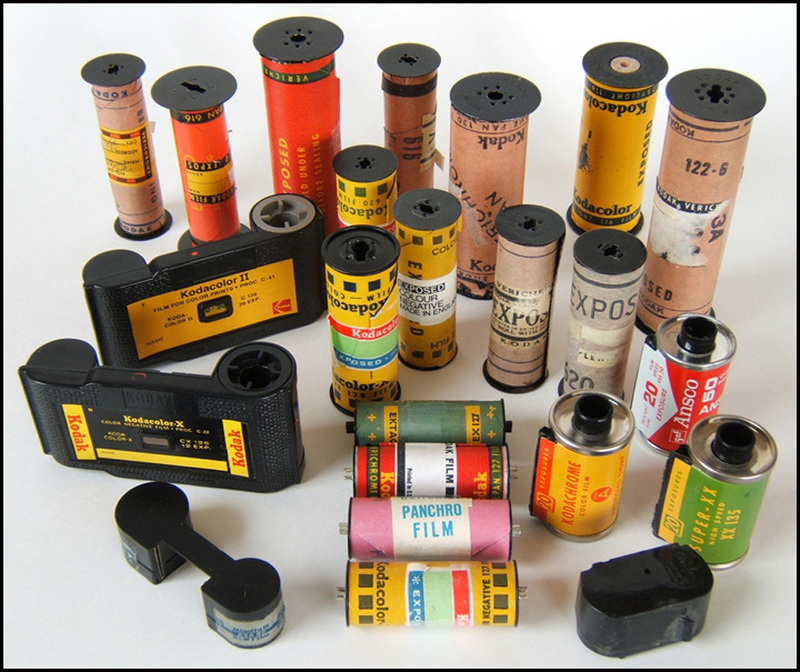 After 60 to 70 years, it is highly unlikely that any decent colour images could be obtained but if the film has been exposed, there might be a slim chance of obtaining some black and white images. Curiousity is getting the better of me. 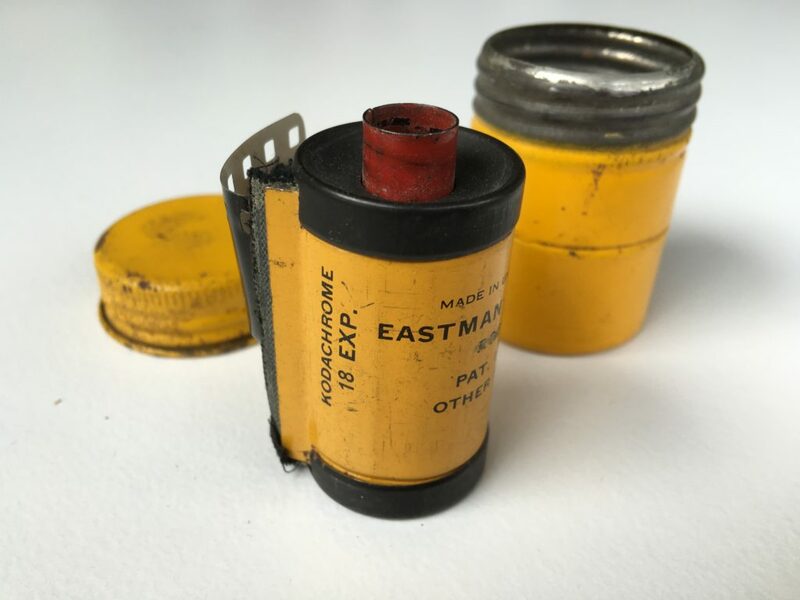 A quick search online reveals that there is a company in Melbourne that will process old film but recently they stopped doing the colour process. I could only hope for black and white at best. But colour was rare back then and I want to know more. It turns out that there is a company in Indian Head, Saskatchewan, Canada, called Film Rescue International, who may well be able to release the genie for me. If the film has never been exposed or there are no recognisable images on it, then I will not get charged. Other than my postage, what is there to lose? 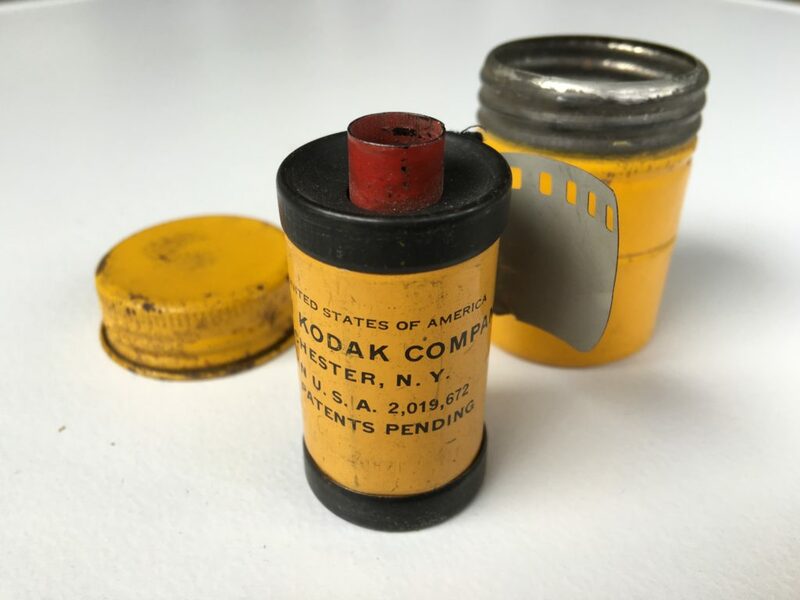 So this week I intend to pack up my little roll of vintage Kodak Koachrome film and send it off to the other side of the world in hope of a message in a cannister. The turn around is about eight to ten weeks so I should know around the end of August. And if there are some hidden treasures, stay tuned for them to be revealed right here. Suffering from severe glaucoma and cataracts in both eyes, Bill Pidgeon agreed to a very special commission for The Journalists’ Club of Sydney to paint seven former Presidents to accompany the many others he had done previously for the Club. This portrait of his friend Jerry Wilkes was done in 1971 and was one of Bill’s very last portraits. In 1973 Bill received the following letter of glowing praise from Jerry. As for me Bill, I think that the portrait of Ray Walker is the only one of those in the Journalists’ Club that better portrays the character of the sitter than that of me. I was sitting in the Journalists’ Club dining room with Stella and for the thousandth time, looking around at the portraits you painted. I am now quite sure that those you painted of Ray Walker and of me are masters, because they are, as well as marvelous examples of the true art of portrayal of the image of the sitter, portrayals also of character. Taking a cold look at myself, as I have been in the habit of doing for fifty years, I believe that, in 1971, despite the disability under which you were labouring, you saw clearly who I was and put that into paint. 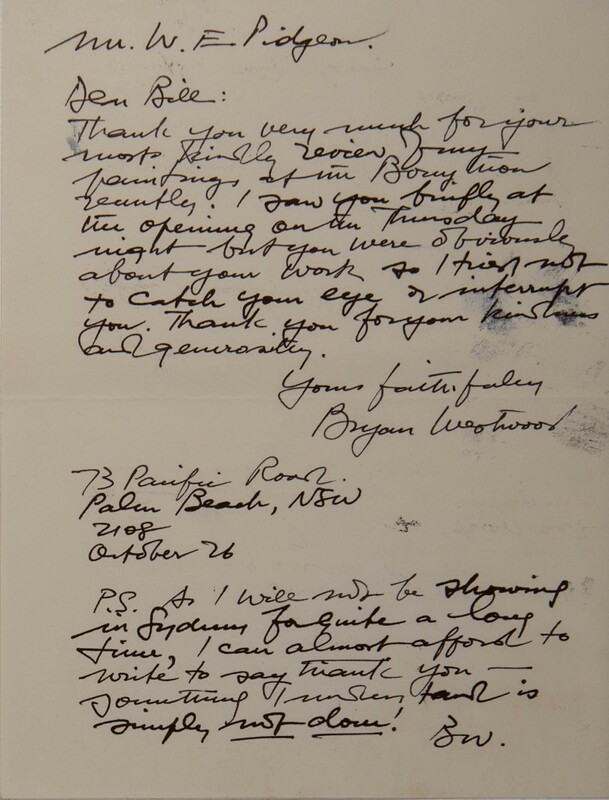 Following Wep’s Sunday Telegraph Art review of Bryan Westwood’s exhibition at Bonython Gallery in October 1975, he received the following note of thanks from Bryan. A portrait does not compete with a photograph, although I think it should be primarily objective. That is to say it should tell you more about the sitter than the artist. The good portrait has movement in repose and is a subtle amalgam of varying aspects of the sitter. It has mobility, and a synthesis of vision which is denied to the camera. WARNING: if somebody offers to sell you this painting today, do not be tempted. However much you might like it (and your view was shared by the Archibald prize judges in 1958), you should decline politely and call the police, because it was stolen from Sydney’s Journalists’ Club on Saturday. Bill Pidgeon’s portrait of journalist Ray Walker had been hanging in the club for almost 40 years. 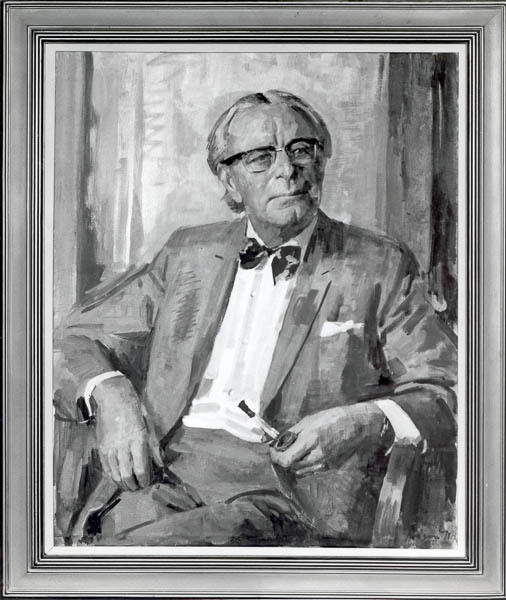 A more recent Pidgeon portrait of another club president, Bill Perry, was also stolen. The paintings went missing between 2.30 and 5 pm, club president Jim North said yesterday. Both were hanging in the dining room, which was unattended but unlocked because it contains the club’s only female toilets. “The painting is probably worth around $10,000 but it is priceless to the Journalists’ Club,” North said. He said it was either a “brazen theft” or a “stupid prank”. 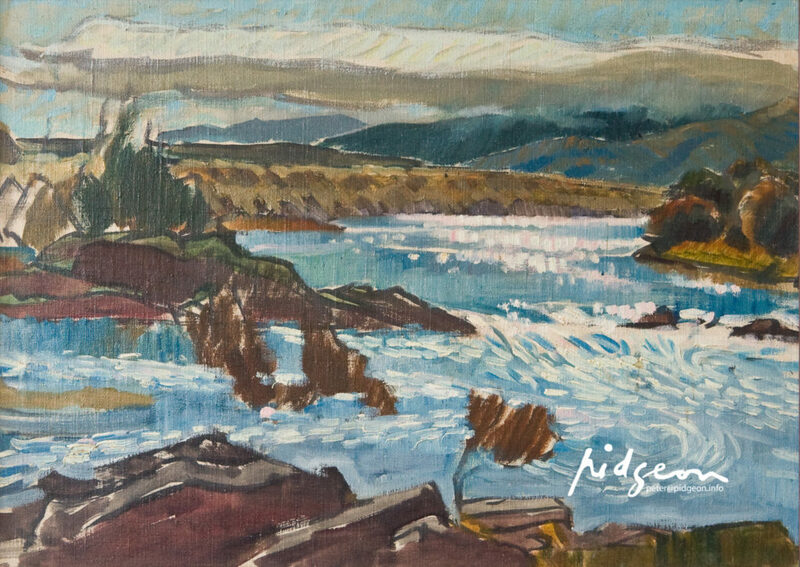 Pidgeon, who also won the 1961 and 1969 [sic – 1968] Archibald prizes, was a newspaper cartoonist who signed his works “WEP”. He died in 1981. Police have recovered two paintings stolen from a Sydney club after a thief with a guilty conscience dumped them outside the home of an artists’s widow. 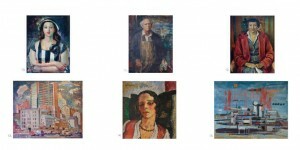 The paintings, one of them the 1958 Archibald Prize winner by artists William E. Pidgeon, were stolen from the Journalists’ Club in Surrey Hills. A spokesperson said the paintings said the paintings of past club presidents were valued at about $15,000 each. Police said a man telephoned the painter’s widow, Dorothy Pidgeon, in Northwood and said that his friend had stolen the paintings and wanted to return them. Twenty minutes later, Lane Cove police received a phone call from a man saying the paintings could be found outside Mrs Pidgeon’s house. 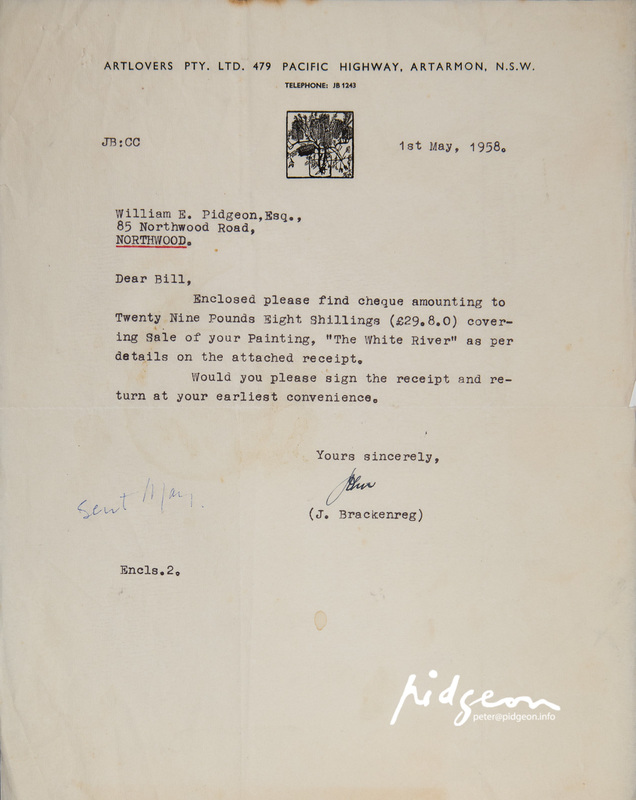 Bill Pidgeon painted seven past-Presidents of the Journalists’ Club for a total fee of 700 guineas. 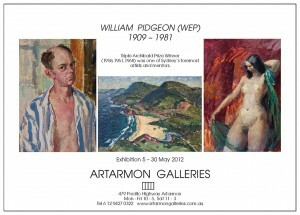 We reported yesterday that two paintings by the Archibald prize winner Bill Pidgeon had been stolen from the Sydney Journalists’ Club on Saturday. Now they have been found. Dorothy Pidgeon, the widow of the painter, said yesterday that a man had phoned her at home late on Sunday. 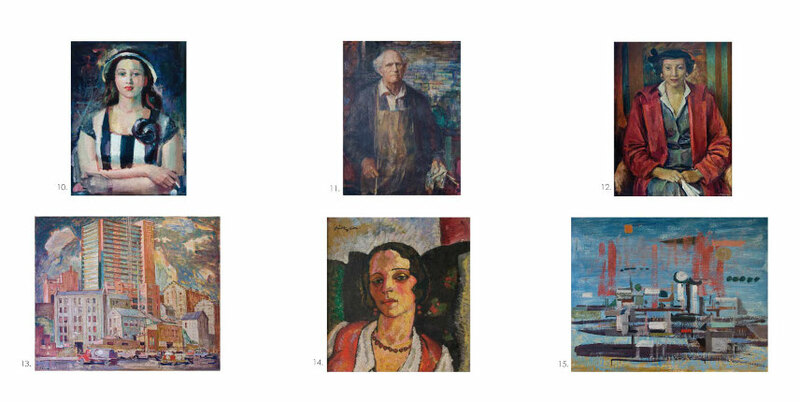 “The caller said he knew who had stolen the paintings and he now had them and wanted to give them back because he could not live with his conscience.” she said. Then Lane Cove police received a call from a man saying the paintings could be found outside Mrs Pidgeon’s home in Northwood. A police mouthpiece said the paintings were found unharmed and they would be fingerprinted before being returned to the Journalists’ Club. 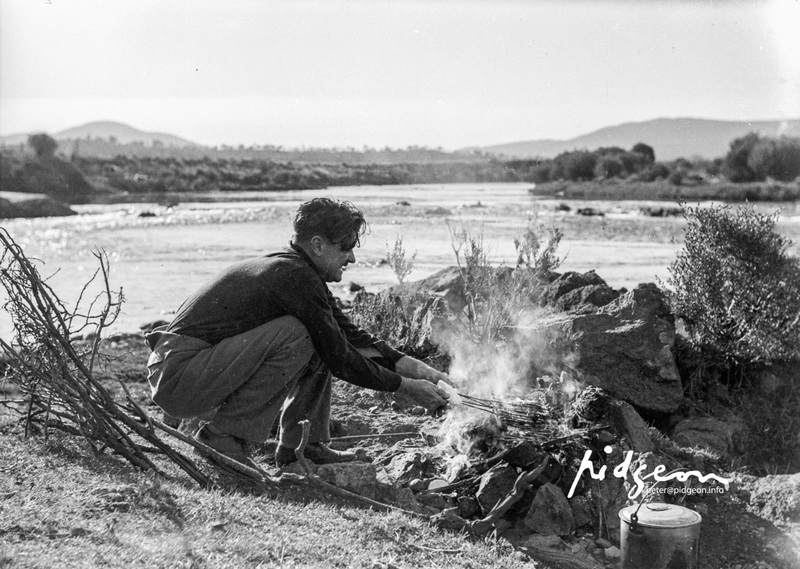 RAY WALKER, subject of one of the two W.E. Pidgeon paintings stolen (then returned) from The Journalists’ Club in Chalmers Street, city, was a legendary chief sub-editor of The Daily Telegraph in the days when Frank Packer owned it. 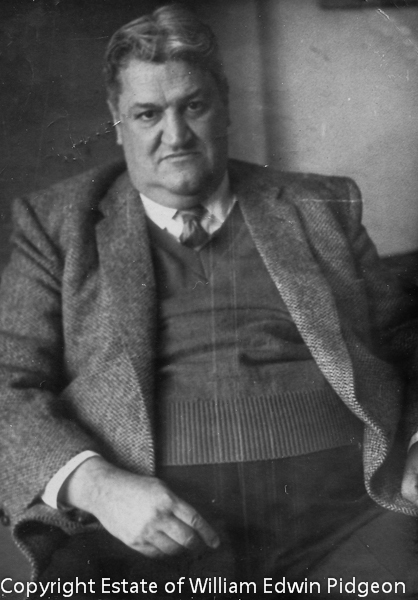 Ray had been a dashing rugby centre three-quarter for Queensland, but put on a kilo or two in later years. When WEP was painting him for the club’s gallery of presidents, he found he could get him to relax only by positioning a schooner of beer at his right hand. Sequel: When the guilty thief called Dorothy, he advised her he was going to leave the paintings at her letterbox near the front gate. Dorothy advised him that she did not want this and told him to leave them in the shed down the road at Northwood wharf. When the Journalists’ Club folded a year later in 1997, the portrait of Ray Walker was once again mis-appropriated and has never been recovered. 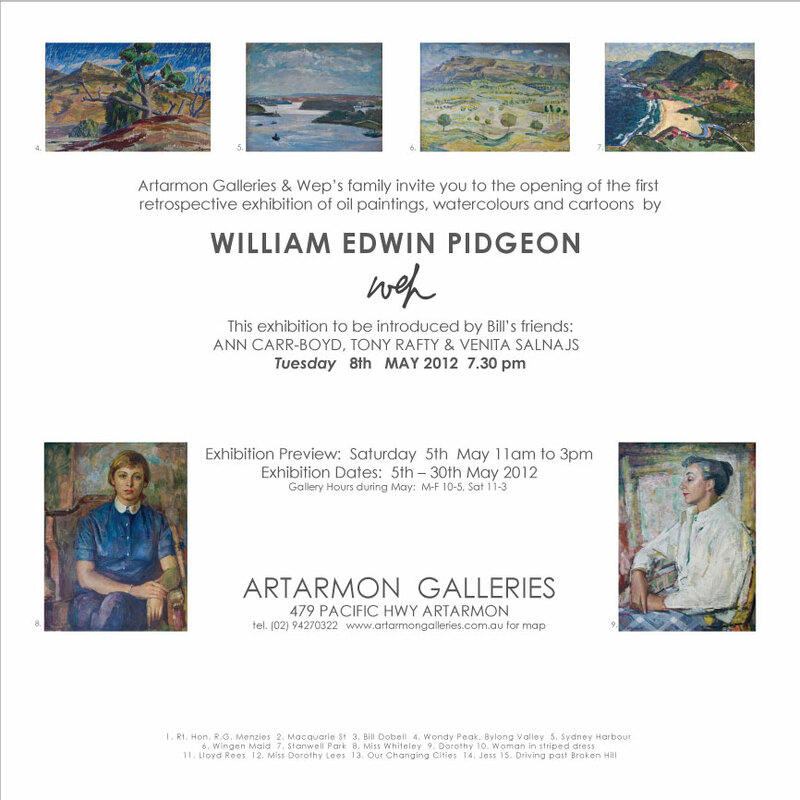 It remains stolen and hopefully it will eventually be returned to the Estate of William Edwin Pidgeon, along with several other Pidgeon portraits, which also went missing. I would like to thank you all for coming tonight in support of this, the first retrospective of my father, Bill Pidgeon and especially to Bill’s long time friends; Tony Rafty, Ann Carr-Boyd and Venita Salnajs for their wonderful memories shared with us tonight. I would also like to thank Philip and Julie Brackenreg of Artarmon Galleries for having the faith in providing me with the opportunity to hold this exhibition. Their father, John Brackenreg, another long time associate of Dad’s founded this gallery in 1955 and being local to our former home in Northwood, it really is most appropriate for this exhibition to be held here. gave it away to friends, acquaintances and even strangers who may have expressed pleasure in a particular piece. Ever since Bill died, Dorothy, my mother, has dreamed of a retrospective of Bill’s work. It came close many years ago with the S.H. Ervin Gallery but funding eluded her and old age caught up. In 2006 when she sold the family home in Northwood to move to Melbourne I had a real concern as to what to do with the paintings. Fortunately, Edmund Capon from the Art Gallery of NSW and Charles Hewitt were very supportive in facilitating storage and kicking off a cataloguing project of the major works. In 2009, my mother insisted the paintings be shipped to Melbourne. This was not the preferable location as any potential exhibition would best be held in Sydney. At the time, I had not yet realised my mother had suffered a minor stroke, which had played a significant part in this decision. Having the paintings in Melbourne did however prove advantageous; allowing me to personally take over the cataloguing work as well as their research in conjunction with Dad’s other papers. I photographed all the paintings and have their images imprinted into my cognitive consciousness. 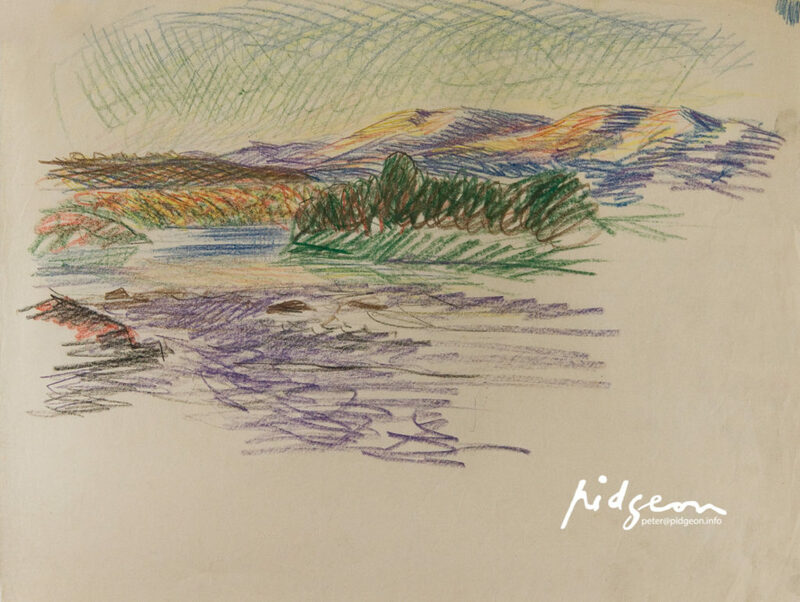 As I go through Dad’s papers, sketch books, old photographs, newspaper clipping and writings, I may sometimes notice a few pencil strokes on a scrap of paper which immediately remind me of a painting and a light bulb goes off. For instance, there is a small striking landscape from 1932 featuring the red trunks of two trees with mountains in the background. I really had no idea where it was situated other than I was familiar with the locations Dad would travel in. 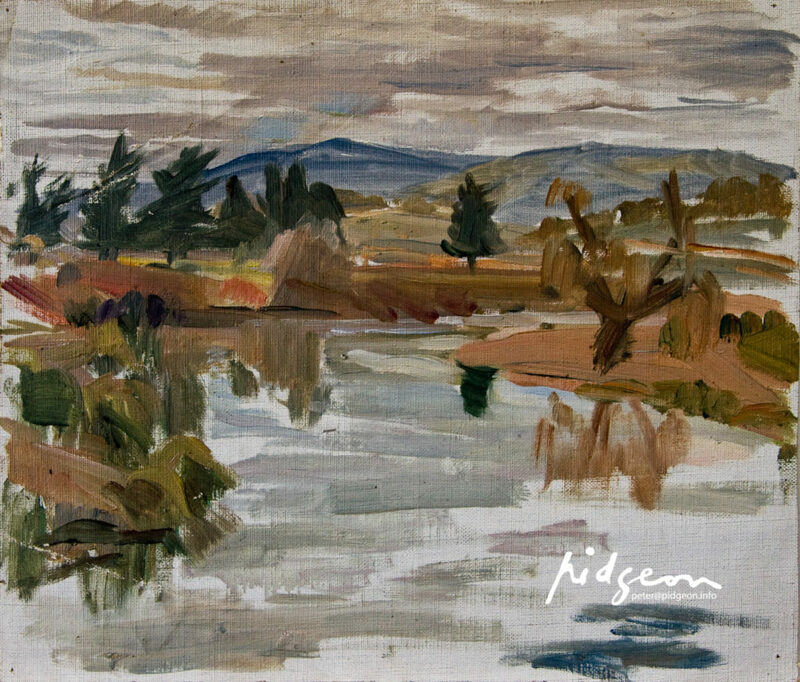 I found an old note in a journal which had a couple of sketched lines indicative of these two trees and the background with a note stating “Hawkesbury River” even though no river is actually visible in the painting. However, there is also another landscape painted in the same style where a river is featured. 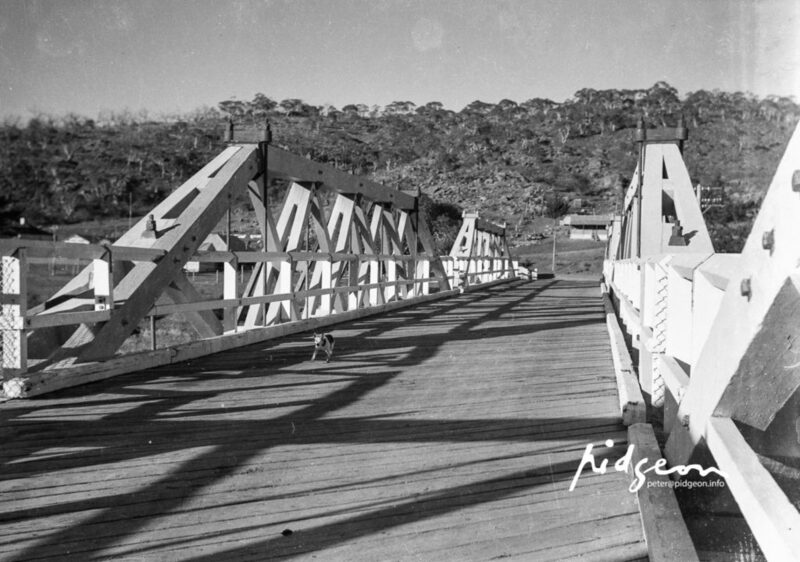 On a hunch that it was in the Hawkesbury River region as well, I then used an old map book of Dad’s from the 30s with the roads he had travelled highlighted with pencil and combined with Google Maps and Google Earth where I could view the topography, I was able to identify this picture as being near Wiseman’s Ferry. 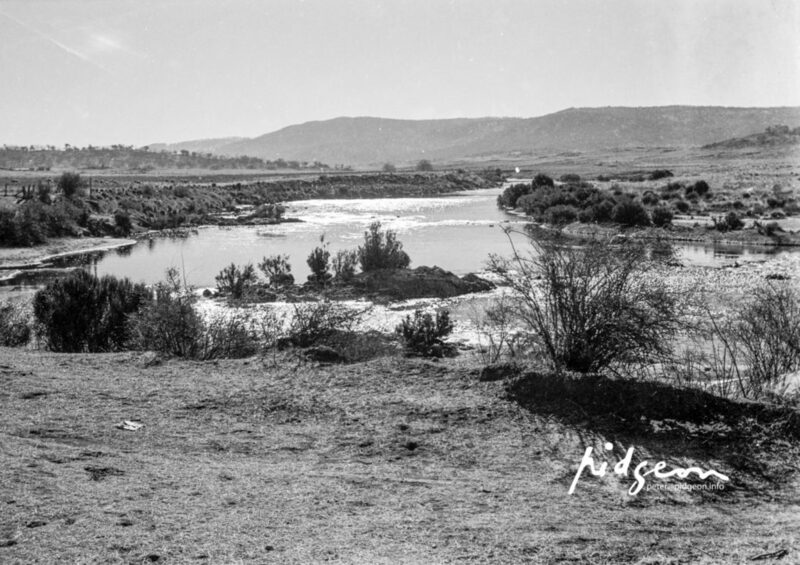 I quite enjoy this research and get a real buzz when I confirm the location of a landscape or the identity of a portrait using Dad’s photographs and other web resources such as Google image search, Flickr and Trove. 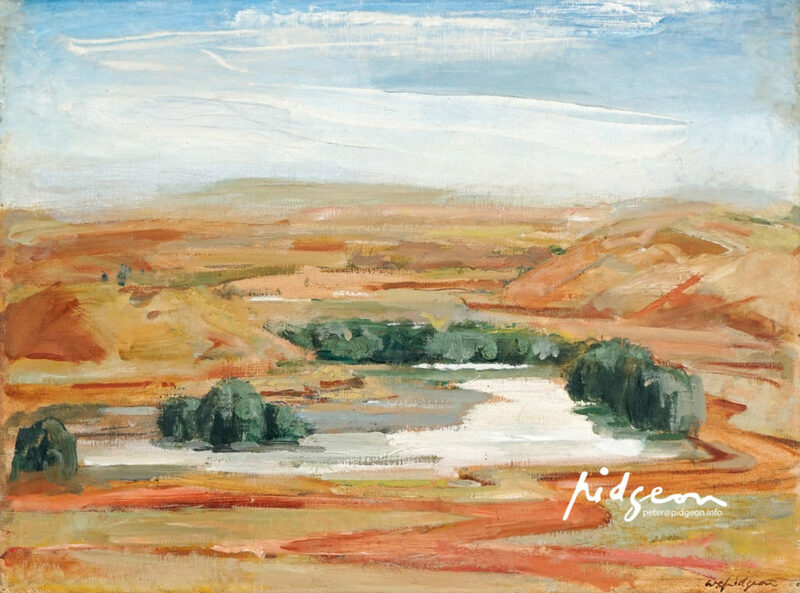 At times I have also undertaken trips to confirm my locations of paintings such as those of the Bylong Valley, painted when he and first wife, Jess, took a six month caravan trip in 1937 to travel throughout NSW and south east Queensland. 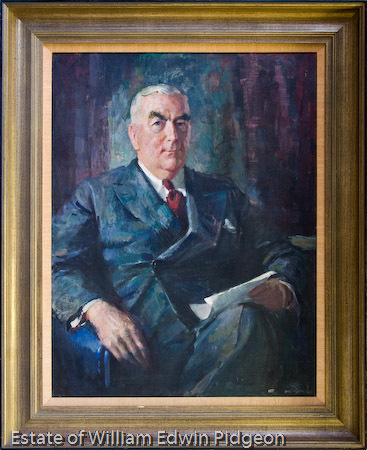 In 1948 when Bill resigned from Consolidated Press and newspaper work, he set out to win an Archibald Prize. His first entry was that year with a portrait of Frank Broadhurst. He was within the first four in 1951 with his portrait of Jess. In 1955 Bill entered a portrait of Brett Whiteley’s sister, Wendy, or as she is more commonly known, Frannie. 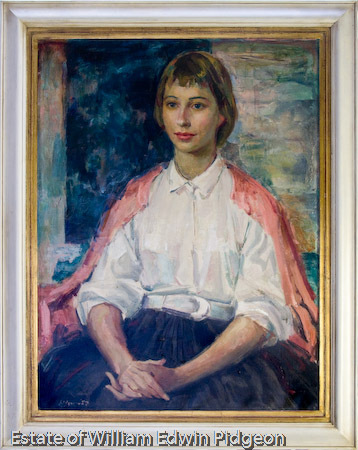 Frannie Hopkirk wrote in her book titled “Brett” that this portrait was the judges’ choice however Bill was denied the prize because she was not a subject of a “distinguished person of arts or letters.” The Art Gallery subsequently purchased that portrait. 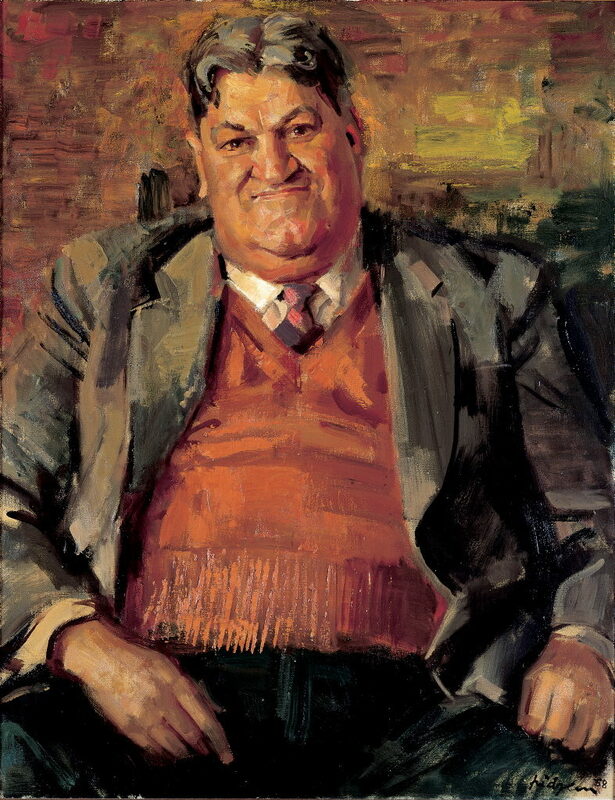 Finally, Bill won the first of his three Archibald Prizes in 1958 with a portrait of his journalist friend, and President of the Journalists’ Club, Ray Walker. His second Archibald came in 1961 with a portrait for the Great Synagogue of Rabbi Porush and his third in 1968 with a portrait of Lloyd Rees, commissioned by the Lane Cove Council. The portrait of Lloyd hanging in the exhibition was actually the initial painting but mid way through it, Lloyd decided he wanted to be painted wearing his favourite velveteen jacket instead, which he had bought in Paris. Rather than paint over the canvas, Bill painted an alternative portrait, which went on the win the prize. However, the one here on display was his personal favourite of the two. Bill entered and was a finalist in every competition from 1948 to 1972 except for two years when he did not enter; 1965 and 1971. Coincidentally, in both these years the prize was awarded to Clifton Pugh, another three time winner along with Eric Smith and Bill Dobell. This exhibition includes six of Bill’s entries; the 1949 Menzies, the 1951 portrait of Jess, the 1953 portrait of Dorothy, the 1954 portrait of Jack Cassidy, the 1969 portrait of Dorothy and the 1972 portrait of Venita. best. Four of those portraits are here on display, the others being his self portrait in the studio, Diana Judah and the one of Mum in yellow. their regular cartoonist was on long service leave. A number of those cartoons are in the exhibition. King also asked if he would do the art crit for the paper, a task both Dad and Mum took on every week for the next five years. Mum would drive Dad around to all the gallery shows where he would then examine the paintings with a magnifying glass and write up his review, which Mum would then type and submit to the paper – all for $50 a week. He did not do it for the money – that was never his motivation. 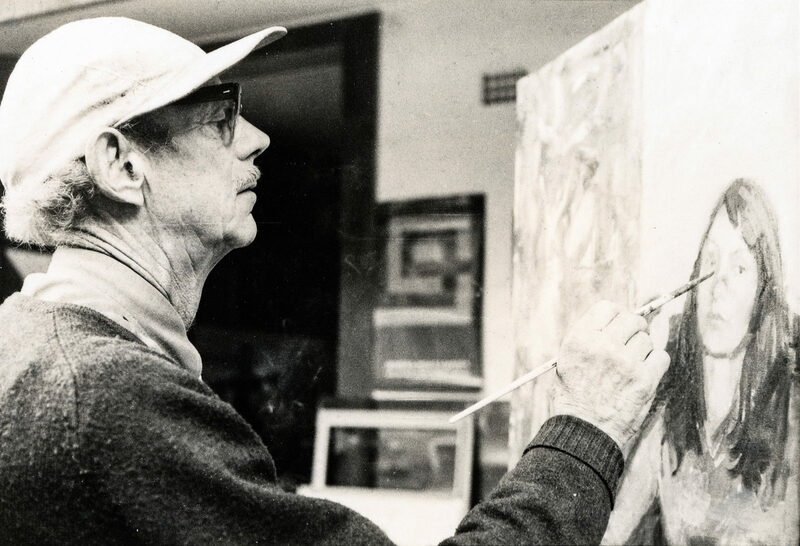 He did it because he embraced all things about art and he loved fostering the talent of new and young artists as he had always done in the past with the likes of people such as Peter Harrigan, Les Tanner and Brett Whiteley. One day I hope to be able to tell Bill’s story in full; of the extraordinary life he led in conjunction with Jess and Mum and his amazing creativity through his art, photography and writing. Sometimes I like to think that Dad and Jess are guiding me in this quest to uncover his story. I have often found myself simply staring at photos, especially those of Dad and Jess, wishing for them to reveal their history. April I learnt that Philip and Julie’s mother, Eleanor, had passed away after being ill for some months. Just four days later at Easter, my mother also passed away. This exhibition has proven to be quite a journey for Phil, Julie and I. I can only imagine that our parents and Jess are all celebrating this event with us tonight. Finally, I want to thank my family for putting up with me as I undertake this journey, especially my wife Liz, whose life has been so impacted by this man she has never met. So with that, please enjoy the show, please sign the guest book for me and I would love to catch up and hear your own stories as well. And if I can, I may be able to share a little more background to some of the paintings. Mr. William Edwin Pidgeon is a Sydney artist, and winner of the 1968 Archibald Prize. He was born in Paddington (Sydney) and was educated at Sydney Technical High School. He is a former cartoonist and illustrator with various newspaper organisations, including Smith Newspapers, Consolidated Press and “Women’s Weekly”, and was a war artist. 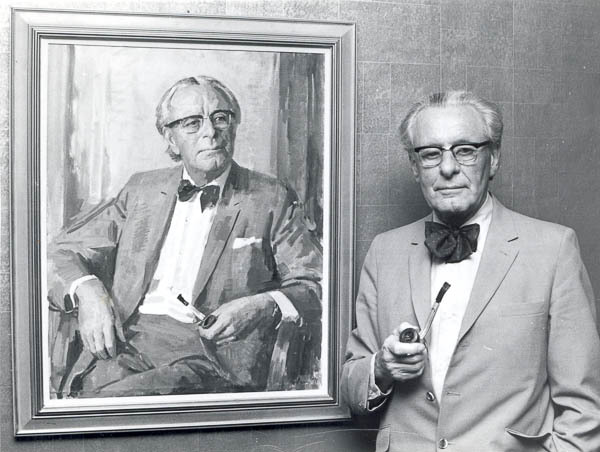 His portrait of his friend and fellow artist, Mr. Lloyd Rees, was chosen last week by the Trustees of the Art Gallery of New South Wales as the best of 136 entries in the 1968 Archibald Prize. 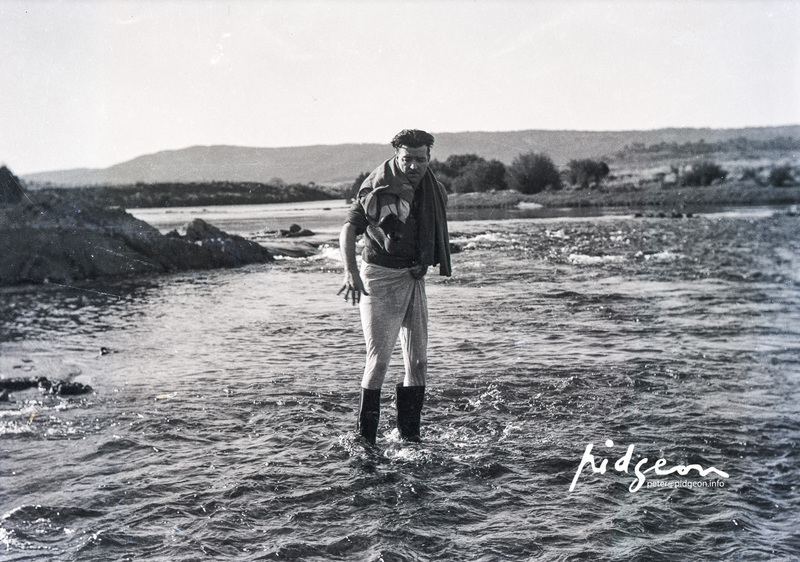 He had already won the prize twice previously – in 1958 and 1961. Painting portraits these days has become rather despised, a bit outmoded so far as the young painters are concerned, and the critics relatively fuddy-duddy stuff. But it’s all fairly delicate business, and a lot harder than the young people think it is. The real problem is to try and make a picture at the same time as you’ve painted a likeness. It’s all very well making a good likeness of a person, but if it’s an indifferent picture, nobody wants it. And it’s all very well making a good picture, but if it’s even not remotely like the person, well one can hardly call it a portrait. The trouble is, you’ve got only a very limited number of elements to work with: a human face, a pair of arms and hands, a body, eyes…..That’s all you start with; what you do with the pose and composition and the colours you use – that’s a part of the abstraction that underlies all art. So there are these two conflicting sides of portrait painting: the demand for some kind of objective likeness and the demands that the laws of design make on the artist. These laws of design must be adhered to. All art is based on design; though a great deal of modern art has become nothing else but – just an exercise for the purist in paint and lines and relationships of one colour to another. I like doing abstract paintings myself, because it’s a relief – from trying to get the nose exactly where it should be or where people think it should be; but a lot of abstract art becomes so pure and dry and arid, it loses all its humanity. And that’s a third thing I think you must try and get into a picture: humanity. I always find it interesting to be confronted with a person. Mostly, you don’t know them before you start to paint them. You have to try and work out the most effective and suitable approach. You start with a face you are not overfamiliar with, and you have to find the characteristics of that face, you have to find the underlying design of its structures, and you have to find out about the personality of the sitter. And while you’re doing this, you might have two or three sittings and then find that you’ve gone all wrong, and that the picture isn’t just working, and that one should have started another way. You go back to the beginning. I might add that you don’t find out much about a person by just looking at his face, you find out about him in other ways too. I don’t start work on the hands, for instance, till fairly late. At the beginning, people are always stiff, self conscious and never know what to do with their hands, but after a while they just seem to slip into some pose that truly reveals the sort of person they are. I did a portrait of a man not too long ago, who held his hands clenched at his sides – it showed an internal tension, a determination to command or conquer or at least be a bit secretive. There’s another picture – still on my wall at home, I think. It’s painted of a young girl who lived up the street. Her hands are very lightly clasped in her lap; and she was a lovely serene pose, for she was a serene girl, and no-one could consciously adopt this sort of loose quality. It has to come from within. There’s a delicate relationship between the portrait painter and his subject. You must develop some kind of rapport with him, otherwise the painting doesn’t really work. If the sitter doesn’t help, you can only make a very stodgy job out of it indeed, but not at all a really viable picture. So, besides the three elements I’ve mentioned – the problem of getting an objective likeness, the demands of design and the need for a quality of humanity in your picture – there’s a fourth element – a subjective element, namely, the artist. I have to get involved in the portrait, I have to please myself a bit, too; I’m entitled to my own ideas about the sitter and I’m entitled to put them in in my own view – on my own terms of paint, so long as it doesn’t conflict too greatly with the other three elements I’ve just mentioned. Now if there’s a fifth element in the situation, it’s the pressure of the interested outsider: the sitter’s wife, the Council or Aldermen or Board of Directors who commission these sorts of things – they have to be considered – not necessarily in any great respect, but they have their own prejudices and their own ways of seeing the man I paint. Naturally, this tends to make them react in different ways. Of course, the subject himself isn’t much good at assessing what he looks like. For a start, he’s never really seen himself, except in a mirror. And that’s not very good, because in the first place, you only see yourself in reverse, so that if your nose goes one way on your face, it goes the other way in the reflection. And there’s the other point, that people don’t really see their true expressions in a mirror. You don’t really catch yourself unawares; you look at yourself with abhorrence or approval to your tie or your beard or the way you comb your hair – which is an altogether different thing. As a matter of fact, even outsiders can’t make a thoroughly objective judgement about a portrait of somebody they know. I remember painting someone with a half-smile playing across his mouth; to me it was nothing more than a half smile. And it was acceptable for the sitter and his wife. Someone else came up to see me and said, “You’ve certainly got his character”. And I thought he was referring to his approval of the sitter, and he said, “You’ve got that nasty leering look, that sarcastic vision, it’s all there, wasn’t it?” Well, was it? To me, the greatest portrait painter of them all is Holbein – or at least one of the greatest; he does an objective picture of the person which is also invariably a beautiful piece of art as well. Other painters have got more and more subjective about their sitters, till in the end the picture tells you more and more about the artist and less about the man he’s painting. And when you get to the semi-abstract portraits, I think you find very few indeed that fulfil the basic function of telling you something at least about the sitter. Only a great artist like Picasso can get away with it; nobody I know can compete with him in things like his semi-abstract portrait of people like his friend Sabartés, the poet. It’s an odd fact, by the way, that there are many people who collect abstract art and pop art and all the latest jazz and hang it on their walls, and who like this sort of thing very much indeed. But if they ask you to paint a portrait of their little one, it has to be right on the ball. No jazzy eyes or two mouths or exaggerated features! Maybe I tend to go too much the other way; I spent too many years on newspapers doing too many caricatures of people, so that I suppose that I tend to over-compensate for that in my portraits. To tell you the truth, I sometimes get a little tired of doing portraits. At least, I always like starting a new one; finishing them is much harder – another matter altogether. There are times when I like to give up portraits for a while and try other kinds of painting. I told you before that I enjoy doing abstracts, but the thing I really prefer most of all is landscapes. And, of course, this means Australian landscapes. You hear people say that the Australian countryside is colourless. They must be blind. It has a subtle, opalescent quality about it – almost pearl-like. It’s fashionable to go out into the Centre and paint the landscape there these days, which is all fiery red and dramatic. I’ve never been there myself, and if I ever do go, I think it’ll probably just be to look, not to paint. My favourite countryside is the Western Slopes of New South Wales, and the mountains. I really don’t like the sea. But those long mountain slopes, I really love that part of the country. And I’ve done quite a lot of straight-out landscapes and free interpretations of landscape, which I do at home from notes and sketches that I’ve done on various trips to the country, or maybe just from recollection. I really love Australia. About ten years ago, I was over in Europe for a while; and most of the country there struck me as being a bit weak and flabby – that’s apart from the Alps, naturally. It wasn’t really landscape at all; it was more like a park, which is all very well in its own way, but it hasn’t really got anything very much for me. Not like the Australian landscape, which is hard and has some guts to it. Of course, it’s all very pleasant sitting out in the soft European countryside on the soft grass, or the fragrant pine-needles. But in more ways than one, the Australian needs the broken sticks and the bull-ants, too. This entry for the Archibald prize has created a lot of interest and keen and favourable comment. “Wep” is regarded by fellow artists and the soundest critics as one of the best contemporary portrait painters. He is, of course, a great cartoonist with a style which is inimitable. “Wep’s” work truly reveals the Prime Minister’s qualities of loyalty, efficiency, regard for decency and truth and, in times of stress like the present, trustworthiness and clear thinking.